On August 22, 2018, American actor, writer, director, Ben Affleck was admitted to a treatment centre in Malibu, California to deal with his addiction to alcohol. He was escorted to rehab by his ex-wife Jennifer Garner and an addiction therapist. Jennifer looked visibly stressed and although their divorce is not yet finalised, it has been reported that Ben will not get custody of his children unless he is sober. This is not Ben’s first time in treatment. In 2001 after his split from Jennifer Lopez, Affleck checked himself into a rehab for alcohol addiction in Malibu for 30 days. At that time, Ben knew that his partying was a problem and wanted to nip it in the bud. It worked. Not only did he get his life back in order, but he went on to do great things. During that time, he met and married Jennifer Garner, and they had three beautiful children together. He also won an Oscar and Golden Globe Award for the film Argo. His career was on a fast-moving trajectory to the top. However, last year, in March of 2017, Ben Affleck created a Facebook post where he announced that he had completed rehab for alcohol addiction for the second time. 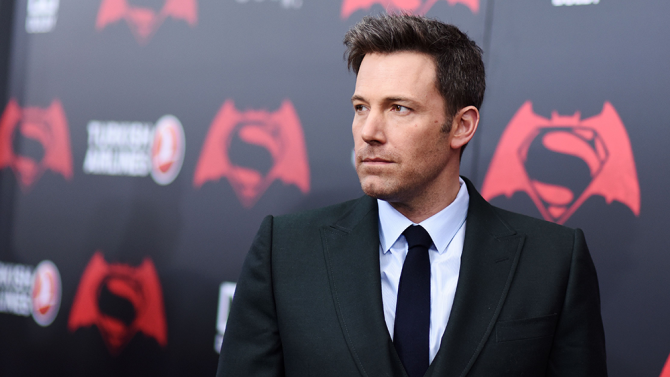 Affleck wrote that alcoholism is something he has dealt with in the past and will continue to confront. Affleck’s message is an important reminder that relapse from alcohol addiction is a common scenario. In fact, many people who are battling addictions have faced relapse on the road to recovery. The National Institute on Drug Abuse (NIDA) states that all forms of addiction are a chronic, relapsing brain disease, which means relapse is not only possible, but even likely. Let us take a look at some of the important facts about alcohol addiction and relapse. Although most relapses are not documented in the media the way that Ben’s was, the reality is that a majority of people who are treated for alcohol addiction experience a relapse. A study in 2001 reported that during the first year following addiction treatment, only around a quarter of people were able to completely abstain from alcohol. The study concluded that dividing addicts into two categories was too simplistic. The two categories were; those who relapsed and those who abstained. The reason the study was deemed too simple was that researchers found the alcoholics in recovery were able to make progress in their lives, even after they had relapsed. The study also concluded that when recovering addicts were not completely abstinent from alcohol, the majority of them were able to significantly reduce their alcohol consumption, and abstain for longer periods of time. The risk of relapse from alcohol addiction decreases the longer a person can continue to stay sober. According to Medscape, fewer than 20% of people abstain for an entire year, about 40% of people who stay away from alcohol for two years in a row will relapse, and those who abstain for five years or more are more likely to stay sober for good, although they are still at risk. This stresses the importance of the addict seeking treatment to realise that treatment does not end just because a person becomes sober. Recovery requires continued dedication to staying sober. It needs to become a daily practice, especially during times of stress. There also needs to be an effective relapse prevention plan in place. Any recovering addict knows that there are many factors that can lead to relapse, such as alcohol cues, like seeing other people drink or watching an alcohol advertisement. Stress and other negative emotions are common relapse triggers. A review paper in 2012 suggested that stress can lead to a risk of alcohol relapse because the area of the brain that is involved in emotions, such as stress and anxiety, may intersect with the areas that are responsible for the reward effects of alcohol. The researchers believe that chronic alcohol use may alter the brain in a way that increases a person’s reaction to stress, which in turn, may increase the chances of relapse. People who experience alcohol addiction relapse after receiving treatment, may have different brain activity patterns from those who are able to stay sober. A study by JAMA Psychiatry in 2013 found that individuals who are addicted to alcohol and who displayed higher levels of activity in the brain’s prefrontal cortex, were up to eight times more likely to relapse during a three-month period, in comparison to those who displayed regular levels of activity in the same brain area. Scientists are aware that the prefrontal cortex plays a role in controlling emotions and subduing urges. While it is not definitive that the increase in brain activity is the reason for relapse because there could be other unknown factors involved. These researchers believe that alcohol addiction can cause changes in the prefrontal cortex, which would alter a person’s ability to monitor cravings and resist a relapse. It is important to understand that a person’s relapse does not mean that treatment has failed. Since addiction is a chronic disease, there may be instances when a person’s symptoms reoccur, just like with other chronic diseases. Instead of seeing relapse as a failure, it is better for people to view relapse as a message that a person may need to reinitiate or adjust their treatment methods or try another type of treatment instead. We admire Ben’s courage in being honest and seeking help and we wish him the very best. Ben is a well-respected and successful public figure, and we hope that everyone will learn from his example; there is absolutely no shame in asking for help. The Dawn offers affordable and effective treatment programmes that can help you or someone you love overcome alcohol and drug addiction. Our purpose built rehab and wellness centre has been designed to create an environment of personal growth, peace, and healing for those who are looking to make a change in their lives. Contact us today or call +66 63 048 4877 to receive a no obligations assessment and find out how we can help you.